As part of my graduate studies, I was invited to apply for a homestay program in Jinhua, China. I thought this project sounded great: three weeks in a rural village in China with loads of cultural tour and tons of activities provided. The key sponsor of this program is the Foreign and Overseas-Chinese Affairs Office of Jinhua Municipal People’s Government. The Jinhua Homestay program is specially tailored made to give participants an intimate look at life in a typical rural village in China. When most people picture China, undoubtedly the first thing that comes to mind is huge cities with multistory building and millions of people. However, just under half of the population of China lives in a rural area. The urban population exceeded rural population 5 years ago. So rural areas and small villages play a crucial role in China. The aims of this project is to help preserve the original cultural atmosphere of these historical villages. And then to assist with developing them as destinations for both domestic and international tourists. The program also emphasizes on cultural exchange and promoting an understanding of Chinese culture, architecture, art, and folklore. 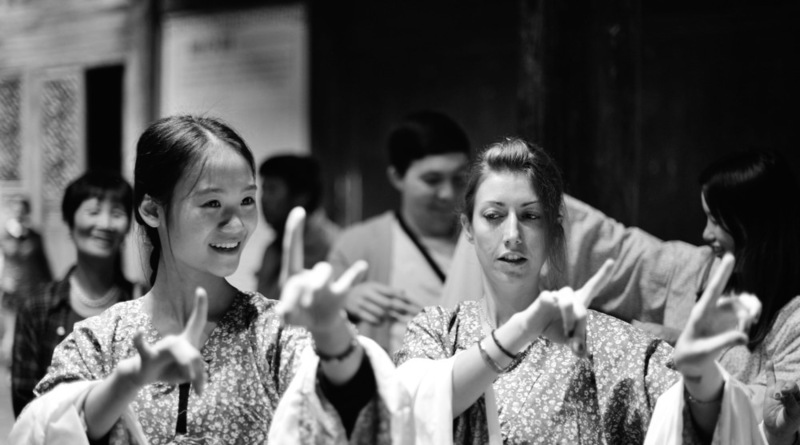 By learning about Jinhua and Chinese culture, we will be able to share these stories with the world. There are about 40 participants from all over the world. Some are students of language and culture, while some have lived in China previously and some are like myself; no previous experience much of China or the language. historical buildings were torn down to make way for more modern structures. They have been electrified and furnished with modern facilities and are still used as town centers and meeting places. We are all staying in a homestay, with a local family. In my house, we have three participants plus a volunteer leader. These volunteers are mostly students who serve as translators, teachers, and liaisons for the foreign participants between the program managers and our hosts. In addition to learning more about Chinese culture, we divided into groups and have begun working on making a pamphlet with information on the area, and we have also been photographed extensively. Three weeks into the program and I have learned more about China than I ever thought possible. I have met some amazing people, both local people from the community and other participants from all over the world. I am looking forward to the final week and completing our project. I would highly recommend this program to anyone who is interested in learning more about the world and other cultures. Previous PostPrevious Introducing the Garden Group!